SHOP DVD: not yet available, as the movie is still running in cinema’s, KLM entertainment screens and in onlinestores. The feature movie was shot in Hollywood and premièred in Hollywood in September 2014. The European premiering was in the city of Hilversum, the Netherlands. Night Eyes has won among others the Los Angeles Thriller festival. 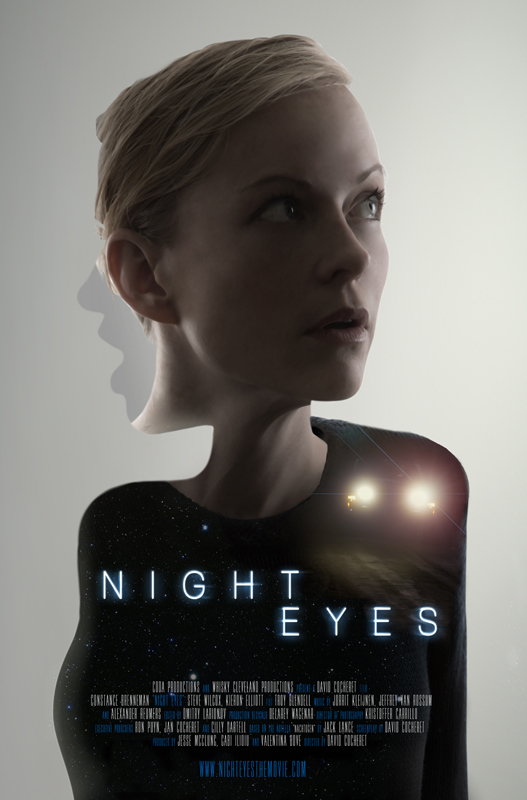 Click on watch more for a short movie about The making of Night Eyes, a short impression of the world premières in Los Angeles and Hilversum, and an interview with cast and crew. At a very young age David Cocheret was caught by the magical world of the movies. Shortly after his first experiments with the family video camera, his talent and passion for film emerged. He enrolled in the Amsterdam branch of the international SAE Film Institute. After graduating in 2009, David took his first step as a professional film director with the short film ‘Noorderweg 75’. In 2010 David left the Netherlands and moved to Los Angeles to attend the New York Film Academy in Hollywood. He made several short films, some of which were awarded at film festivals including the LA Comedy Film Festival and the HollyShorts Film Festival in London. His award-winning thesis film ‘Petra’ got David a distribution deal with Indieflix.com. The success of ‘Petra’ was an important step towards fulfilling his biggest dream, directing a feature film.’Night Eyes’ is that first feature film. Dutch only: the Jack Lance Community interview (download pdf) with David Cocheret and Constance Brenneman. Constance Brenneman began her acting career with one-woman shows portraying Mary Harris Jones “Mother Jones” and other prominent women in American History. After winning national performance competitions for these portrayals, Constance began doing more theater, film, voice over and television work, honing her craft at Carnegie Mellon University’s School of Drama. Additionally, Constance spent nearly four years as a television host and broadcaster for a network television station. In Night Eyes she has the leading role of Linda. 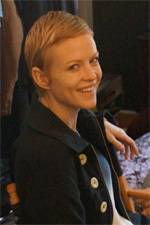 In Night Eyes she has the leading role of Linda. He worked again with Olmos in the HBO feature film, “Walkout,” directed by Olmos. He also worked with director Brian Cox (with whom he previously worked with in “Scorpion Spring”) in the feature film “El Muerto,” opposite Wilmer Valderrama, Maria Conchita Alonzo, Billy Drago, and Tony Plana. Steve Wilcox also wrote a book. Look close when you watch Night Eyes: both his and Jack’s book are in the cupboard in the movie. In Night Eyes he plays Michael, Linda’s ex. 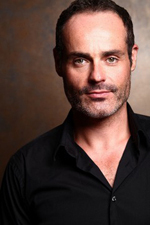 Kieron Elliott is an actor, known for How to Train Your Dragon (2010), How to Train Your Dragon 2 (2014) and A Stitch in Time: for $9.99 (2014). In Night Eyes he is Linda Raines boyfriend Paul. 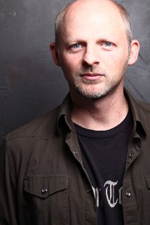 Troy Blendell is an actor, known for The Island (2005), Collateral (2004) and Prom Night (2008). In Night Eyes he plays the role of Larry, the shopowner who likes Linda Raines very much and gets to hit Steve Wilcox with a chair! 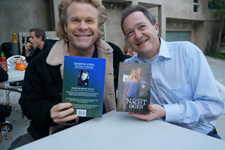 The novella is written by Jack Lance. It is only published in Dutch, as Nachtogen. Nothing special happened for years, and my carrier became a successful one. I wrote some novels and they all got published in lots of different languages, and can be read in a most parts of the world. How this story got to be a real movie, you can read here. My latest novel is called Zone. It is a thriller which takes place on board of a Boeing 747. You don’t want to experience what happens there, I assure you. To write that story, I had to brush up my knowledge about airplanes in general, and the normal goings in a cockpit in peculiar. Without the help of Jan Cocheret, Boeing 777 pilot at Emirates, this story never had seen the light. Jan has an interesting life. Not only he has a nice job, he is also married with Cilly Dartell – famous for presenting the Dutch tv-show Hart van Nederland for years – and they have two sons. One of them, David, lives and works as a movie director in Los Angeles. I visited Dubai once (base of Emirates and therefor also the place of residence of Jan and Cilly, when we talked about David. I can tell you that this conversation in that lively metropolis in the desert, was the start for the Hollywood making of Night Eyes. David Cocheret is an energetic, young guy that was searching for the right story to become one of his movies. He liked my Night Eyes very much. Together we worked at the script, and we made the decision to go ahead. The recordings happened in December 2012. On the gray morning of December 8th I got on board of a KLM-jumbo jet, for a eleven hour term to LAX. There is a time difference of nine hours between Amsterdam and Los Angeles. Although the Boeing took off at 10:00 pm, I got off the plane in sunny California, below a blue, cloudless sky, just after 12:00 pm. They gave me an address to find the set, and I drove there in a rented car. It took some getting used to the broad asphalt roads of Los Angeles (everything looks bigger then we are used to in America). Suddenly I was on Sunset Boulevard, and a little bit further on I crossed Santa Monica Boulevard. I got to Hollywood Boulevard and along the Walk of Fame and the Chinese Theatre. Just after that, the navigation told me to turn right and I just got to another world right there. No more broad roads, nog glitter and glamour. I saw mountains and drove on a small road through canyons of Hollywood Hills. This is also Los Angeles. You are in a Metropolis, and still not far off the wilderness that is literally in the middle of the city. Less than three miles of the Walk of Fame, I arrived at the set. A house, shaped a little like a cube, is built to a steep canyon, was the destination according to the navigation system. I assumed that was correct, deriving from the half open tent with lots of film equipment in front of the house. A little army of ‘movie people’ was doing lots of things with it. That was the start of three days on the set of Night Eyes. I you don’t know better, it looks like making a movie is no special thing, and you might wonder why it has to cost so much. But looking with my own eyes and seeing all that comes with it, you understand better. For starters, the set must be rebuild before very scene, including all the props that are necessary. There is lots of attention for the right lighting. I don’t understand a thing about the lingo these crew uses, but you see big screens being placed around the set, so image polluting can be rubbed out. And if a scene in the movie takes place in the dark, but is shot by daylight, they tape away every track of light. Naturally the actors rehearse every scene they play. In Night Eyes there is a moment where Larry hits Michael with a chair. That scene is rehearsed so often that Steve Wilcox, the actor playing Michael, was black and blue allover. After the rehearsals the big moment is there. Cameras are being positioned, mics adjusted – those are these big hairy things you sometimes see in a blooper. The lighting people are ready, makeup finalizes the touchups and the director and his assistant take place on their chairs and are looking on a small screen the cameras registrations. Then the director calls: ‘And… action!’ Someone shows the clapboard (a sign with the scene number and number of the take) and with a clap the recording is started. For who did not realize, but a movie is not shot in chronological order. The puzzle of scenes is arranged in groups that Is most useful for the production process. It is possible that what happened at the end of a movie, is shot on the first production day. So, that Is a BIG job, not to only logical order these takes, but also make the decision which of all these takes is the best one. The set was a kick-up! Lots of young, who enjoyed being there and who were very professional with their work. Everything became right. The catchy enthusiasm where Night Eyes is made with, I will always remember. Cast and crew where wonderful, and I mean that from the bottom of my heart. I sincerely wonder if I ever will see such an inspired director as David Cocheret. The best scene that I saw made? That has to be the scene where Linda comes driving on to the house, and looks at her own Jeep Liberty in the parking spot. That is where this whole story started. Twenty-five years ago, this was a bit of a strange thought I kept beside me, afraid of being called crazy. But that night in December 2012, that image became reality. And that is the magic of Hollywood. Every story has an epilog. Almost two years later, September 2014, I traveled to Los Angeles again. I met again with this film crew, not on a set, but in a very nice theater somewhere else in Hollywood. There was the first premiere for Night Eyes, watched by insiders and some big movie managers. The next day, I drove back to that cube-like house in Hollywood Hills, where two years before the recordings took place. I stood there for a while. I looked at that strange home, the rough canyons – no more the a doorstep away from the Chinese Theatre and the Walk of Fame – and all beautiful memories came back to me. The ambiance, experience and passion from everyone involved in the production of Night Eyes. I relived those days on the set again, as if I was there again. It almost looked like the adventures of Linda Raines. I am so glad, I met that brave young women there. Somewhere in that wondrous place… the unending world that is called Imagination.